Courtesy of a global, networked economy, change now happens faster and with less warning or pattern than ever before. Today, change is the new normal. So how do you harness change as a force for improvement and innovation? How do you create an organization where change is part of its DNA? Workplace change has the power to inspire people to transform organizations, taking them to the next level. Yet the conventional approach to workplace change has concentrated on controlling chaos and handling resistance until things return to normal. The right work environment is an incredible tool for facilitating change. But it’s not the only change agent. Spaces on their own don’t cause collaboration, teaming, happy collisions, creative thinking and knowledge sharing. At its core, change is a human issue. It’s about emotional, behavioral and cognitive needs. For change to not only meet needs but also create habits, you must look at both space and people. In addition to new space types, technology and amenities, your strategy must consider shifting your culture and behaviors, breaking bad habits, embracing new processes, and leveraging team synergies. Per the Harvard Business Review, change management has been in existence for half a century with over 83,000 books written on the topic. Yet 60-70% of organizational change efforts fail. This is likely because change programs are primarily focused on what is being communicated, assuming if we inform people of change, they will ultimately embrace it. Though communication strategies are important, more complex initiatives that aim toward new ways of working within an organization require co-creation and engagement to sustain change. Also, for most people and organizations, change doesn’t come easily. They become rooted in comfortable behaviors and processes over time. Yet change is the basis for growth. Change is driven by the desire to increase innovation and improve effectiveness. Change comes from the desire to be better. 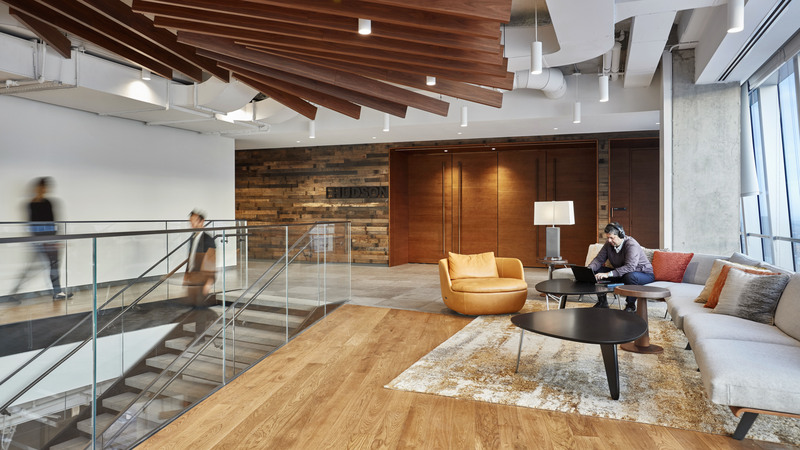 At Gensler, Change by Design℠ is our method for forging organizations that are ready for and resilient in the face of change. What is Change by Design? It’s a marathon, not a sprint. Organizational, spatial and behavioral changes take time to percolate and manifest. The goal should be to build sustained programs that look beyond the near term. Though short-term failures may arise, the lessons learned from such temporary setbacks are critical to long-term success. After all, change is about taking risks -- calculated risks. You can’t learn if you don’t take risks. With the right communications strategy and a consistent approach, you can drive home to employees the opportunities for growth and bolster your chances for successful change. It’s not how you look; it’s who you are. Thomas Jefferson said, “If you want something you’ve never had, you must be willing to do something you’ve never done before.” To produce different results, you need to work, think and exist differently. A new work environment is a powerful lever for this behavioral change, but it isn’t automagical. New ways of doing and even being are required to activate all that collaboration, knowledge sharing, teaming, interaction, innovation, creative thinking and unexpected meeting up. Look beyond space to deliver protocols, processes, technology, experiences and ongoing practices so the “new you” can endure beyond the New Year’s resolution. Make it fun. Make it stand out. Brand it. Celebrate and perpetuate change. Nobody is going to raise their hand when asked, “Who doesn’t want to be smarter, faster or feel better about what they do?” Today, brand building is not about stamping a logo on everything. Instead, it’s about building a movement and giving people ways to affiliate and spread the word. All successful change is social change, and it cannot be managed solely from the top, but must be fully supported from the top. Focus on putting in place self-sustaining social strategies to build the brand and the buzz. 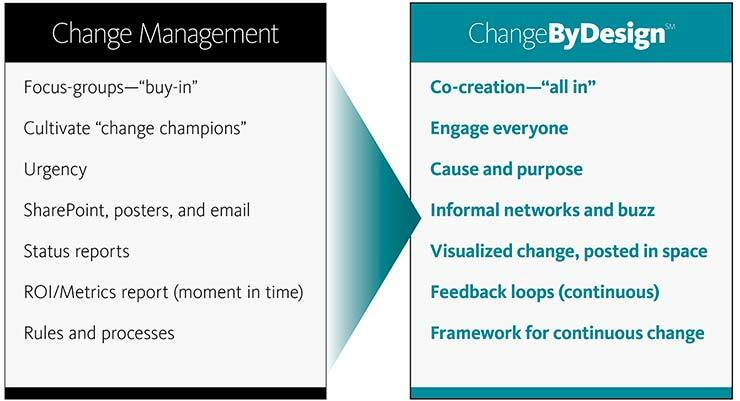 You can manage change to inform employees. Or you can leverage change to inspire employees and transform your organization. With change comes opportunities for innovation and creativity. Deanna Siller is a Principal in Gensler’s Washington, D.C., office and a leader of the firm’s Consulting Practice Area. She has a deep understanding of how design can impact business performance. A trusted advisor to her clients, her strategic insights result in innovative and powerful strategies to differentiate user experiences and foster connections. Deanna focuses on global trends and research, user insights and design thinking to establish thoughtful approaches to change management, workplace strategy and strategic communications.